Founded in 2008 by saxophonist Aaron Burnett, the Big Machine reflects on society’s urgency for freedom and peace in a world ruled by corporations and overwhelming technology. In a small ensemble setting, the Big Machine attempts to incorporate the aspects of modern day electronic music and world music with the traditional classical and jazz practices of the past innovators of our time. New Spectrums in Electronic Acoustics will be the first instance where Burnett will use a an audio-to-midi converter, along with Ableton, to process midi and the actual audio from the tenor saxophone at the same time with virtually no latency. The program will also feature new compositions as well as improvisation. Born with a natural talent for visual art, Aaron Burnett began to study classical saxophone at the age 11. After attending the University of North Carolina at Greensboro for Classical and Jazz Performance (1999-2001), he relocated to Berklee College of Music in Boston for Classical Composition (2005-2008), graduating with a degree in Professional Music. Burnett has always stressed the importance of establishing a unique sound for himself while in college, studying classical Baroque composition techniques, advance harmony, world music, and atonal composition. 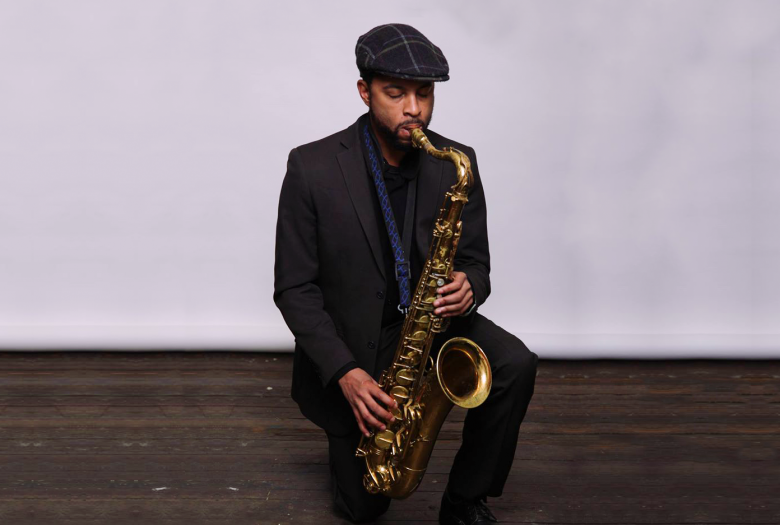 He has performed with many renowned musicians such as Vijay Iyer, Teri Lyne Carrington, Kurt Rosenwinkel, Michelle Rosewoman, Jeff Tain Watts, and Kim Thompson, and toured with three-time Grammy winner Esperanza Spalding in her 2012 world tour with Radio Music Society. Burnett retains true nature of jazz in his music and his playing, always searching for new ways of interpreting the music while remaining modern and consistent with the times we live in.